DEMRE, Turkey — In the fourth century A.D., a bishop named Nicholas transformed the city of Myra, on the Mediterranean coast of what is now Turkey, into a Christian capital. Nicholas was later canonized, becoming the St. Nicholas of Christmas fame. Myra had a much unhappier fate. Occupied since at least the fourth century B.C., Myra was one of the most powerful cities in Lycia, with a native culture that had roots in the Bronze Age. It was invaded by Persians, Hellenized by Greeks, and eventually controlled by Romans. Until the chapel was unearthed, the sole remnant of Myra’s Byzantine era was the Church of St. Nicholas. (The bishop, also known as Nicholas the Wondermaker, was a native Lycian of Greek descent.) First built in the fifth century A.D. and reconstructed repeatedly, it was believed to house his remains and drew pilgrims from across the Mediterranean. Today, Cyrillic signs outside souvenir shops cater to theRussian Orthodox faithful. But Myra attracted invaders, too. Arabs attacked in the seventh and ninth centuries. In the 11th, Seljuk Turks seized the city, and the bones thought to be those of Nicholas were stolen away to Bari, in southern Italy, by merchants who claimed to have been sent by the pope. By the 13th century, Myra was largely abandoned. Yet someone built the small chapel using stones recycled from buildings and tombs. Decades later, several seasons of heavy rain appear to have sealed Myra’s fate. The chapel provides evidence of Myra’s swift entombment. If the sediment had built up gradually, the upper portions should show more damage; instead, except for the roof’s dome, at the surface, its preservation is consistent from bottom to top. In the layers of mud between the 14th-century ground level and the late-Ottoman level — which is just shy of the modern surface — they discovered nothing at all. 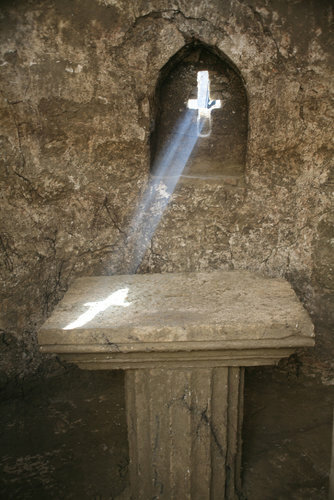 The chapel is part of a larger dig that includes the Roman amphitheater — largely reconstructed in the second century after an earthquake leveled much of Lycia — and Andriake, Myra’s harbor, about three miles south. Long a major Mediterranean port, Andriake was where St. Paul changed ships on his way to Antioch (now Antakya). 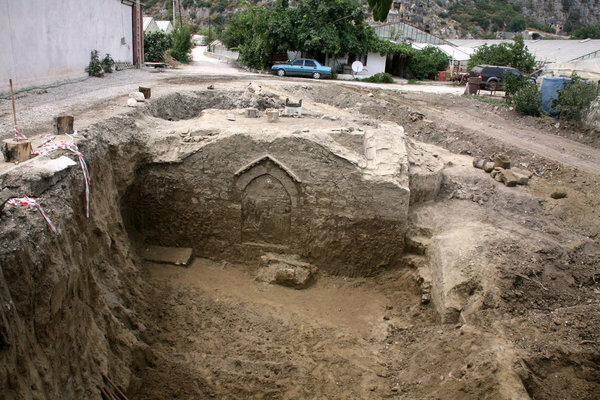 Finds there include a workshop that produced royal purple and blue dye from murex snails and a fifth-century synagogue, the first archaeological evidence of Jewish life in Christian Lycia. Much of Myra is under modern buildings in Demre, so archaeologists are unsure where they will dig next. They are buying property from local residents to prevent illegal excavations, though judging from the paucity of artifacts found so far, looters might be disappointed: the last residents of Myra seem to have looked at the rising floodwaters and packed their bags before they left.